We’re reflecting on 2015 before we get too far into 2016, so we’re reviewing our top posts of the year. We like to write informative, interesting posts that help holiday goers have the best holiday in Byron Bay possible. We topped ourselves in 2015 by posting 49 articles last year—all of which we hope provide good advice, tips and facts for Byron Bay holiday visitors and more specifically for those visiting our holiday park. Take a look back at the top posts of 2015, use them to plan your next holiday and look forward to more informative posts in 2016 yet to come. The top post of 2015 displays holiday visitors’ interest in one of the most relaxing things to do in Byron Bay. Throw out a line and just hang out while you wait to see if you catch anything. This post explained the ins and outs of fishing in the Byron Bay area so you will know exactly how to get to the actual fishing part rather than messing around with finding the right spot and getting your recreational license—it’s all spelled out! We are here to help and will continue to post about how to go about doing many of the excellent Byron Bay activities. Yet another post on Byron Bay activities comes in second on our list of top blog posts from 2015. We are taking note and will continue to post helpful articles about the many things to do in Byron Bay. We created this list in the hopes that it would help our holiday visitors easily plan which of the best hiking trails they’d like to tackle. We covered everything from easy trails for the whole family, to more difficult ones that more experienced hikers should check out. For our third-ranking post, we switched gears and found that visitors to the blog look for informative posts that provide helpful camping advice and tips. We cultivated a list of camping recipes that you could use during your visit to Broken Head Holiday Park to make meals that are sure to please everyone on the trip. We hope these camping recipes help people plan meals for their stays. Not only do you enjoy looking through camping recipes, but this next top-trending post covers another popular topic: camping gadgets. Blog visitors like to read about the coolest camping gear, and it appears that our readers particularly liked the idea of the solar gadgets. Thanks for being green! We love easy camping recipes, too! This list was created with one thing in mind: keep it simple. You’re on holiday, you’ve likely spent the day out in the sun at the beach or hiking or in (or on) the water, and you just want to relax with some delicious food. These easy camping recipes accomplish both goals—an easy dinner that is yummy. We’re back on camping gear with this top post, an important one at that. Getting a good night’s rest is one of the highlights of holidays, especially when you’re tired after a busy day of Byron Bay activities. You’ll want to make sure to check over this list of the best inflatable camp beds and pick an excellent one to bring with you when you take your next holiday to Broken Head. 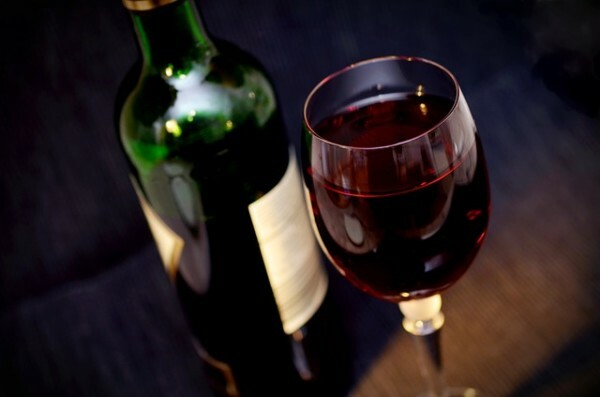 For a lot of people, sipping a good glass of wine has all the makings of an excellent day during a holiday. It’s no wonder that this post on the top wineries near Byron Bay is one of our popular posts in 2015. These three wineries are good reasons to add on a day trip during your stay at Broken Head. No one wants it to rain when you’re on holiday, especially when visiting a place like Byron Bay where so many wonderful attractions are outdoors, but it happens. This popular post shows that it’s a good idea to be prepared with a list of things to do in Byron Bay in case of wet weather. We even broke it up with suggestions for families, adults and some that apply for both. Everyone loves a good road trip. Even though you can drive from Brisbane to Byron Bay in just a couple of hours, we make suggestions for places to visit along the way to create a whole holiday out of the drive. Extend the fun by taking in some of the exceptional towns along the way and get the chance to see some parts of Australia you might miss if you drive straight to Byron Bay. We already are planning our blog posts through to the end of the year. We look forward to providing more camping gear ideas, more camping recipes and more ideas on things to do in Byron Bay. Keep this blog bookmarked or just plan to return often, we’ll always keep postings about our favourite place in the world: Byron Bay!